Data loss is a growing issue for companies around the globe. Everyone’s on the go and intellectual property is equally as mobile. While the focus on leaks via removable drives and other media is admirable, the bulk of the problem lies in the tool everyone uses almost every moment of the day: email. 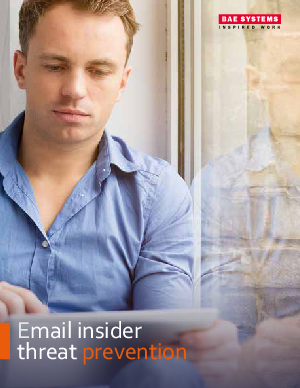 In this white paper, we’ll look at the advantages of cloud-based email insider threat prevention, what to look for in a solution, and hear a first-hand account from a credit union since implementing email protection services.